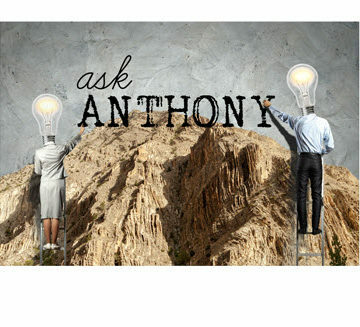 Ask Anthony: Should I Go to Grad School or Apply for Civil Engineering Jobs? This is a question that I get from civil engineering students almost daily. Should they seek full-time employment immediately after completing their undergraduate studies or pursue a master’s degree? Let me preface my answer with two statements. 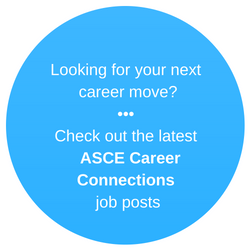 First, graduate school and professional engineering licensure are invaluable tools for any civil engineer – as noted in ASCE’s Engineer Tomorrow initiative – but, as with any career, it’s more a question of timing. Second, the answer to this question is different for every civil engineering graduate, depending on their situation, however, I do have some pretty strong general thoughts. In some specialty areas of civil engineering, such as structural and geotechnical, a master’s degree is either required or strongly preferred for entry-level hires. It’s important to do some research on the expectations of your specialty area and/or of the firms you’re most interested in. However, if a master’s degree is not the norm for your practice area, or if you aren’t sure yet what specialty you want to pursue, I recommend entering the workforce instead of continuing school full-time for a master’s degree. 1. Unless you obtained a full scholarship, you would be taking on debt to learn more advanced engineering knowledge before you even start your career. While education is an investment in your career and your future, debt can be especially overwhelming when taking it on at a young age. 2. Unless you have had multiple internships in the field, how do you know that you will like your chosen field of civil engineering? How do you know you won’t want to switch fields? When I graduated, I wanted to practice structural engineering, but after working on a few bridge projects, I switched to land development work for the rest of my civil engineering career. What if I had pursued a master’s in structural engineering immediately after college? 3. You can only learn so much in school as an engineer. Most engineers whom I interview for our podcasts talk about how much they learned “on the job.” By starting to work full-time as soon as possible, you will be thrown into engineering problems and projects which will force you to learn on the job. This real-life experience will be invaluable should you return to graduate school down the road. • Graduate School Immediately After Graduation – This approach may be the best choice for those entering certain specialty areas or pursuing specific companies where a master’s degree is an expectation for entry-level positions. Otherwise, I would recommend one of the below paths. • Full-Time Job / Part-Time Graduate School – Consider starting a full-time job immediately after your undergraduate education and then pursue a master’s degree part-time in the evenings. This approach can be highly beneficial for multiple reasons. First, you are able to get that on-the-job experience immediately, but at the same time you can chip away at your master’s degree. Second, many engineering companies will provide financial assistance to their employees for pursuing advanced degrees that are related to their job, thereby eliminating the need to take on debt. • Full-Time Job / Graduate School Later – Consider starting a full-time job immediately after your undergraduate education and holding off for six months before you start a master’s degree program. This option gives you some time to experience your new career and see how you like it. I know many engineers who practice for a short time, then switch to another career field that still allows them to leverage their engineering education. I hope this post helps if you are a civil engineering student considering the first moves of your career. I place a very high value on experience on the job, and I highly recommend that before extending school for another year full-time, you study on getting your hands dirty in the field of civil engineering. Sooner is often better than later. Anthony Fasano, P.E., M.ASCE, is the founder of the Engineering Management Institute (previously known as the Engineering Career Coach), which has helped thousands of engineers develop their business and leadership skills. He hosts the Civil Engineering Podcast and he is the author of a bestselling book for engineers, Engineer Your Own Success. You can download a free video series on his website that will give you the tools needed to immediately improve your networking and communication skills by clicking here. He has also recently started the Engineering Management Accelerator to help engineers become more effective managers: www.EngineerToManager.com. 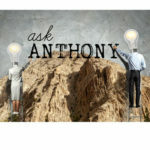 Ask Anthony: Why Can’t I Get Interviews for the CE Positions I’ve Applied To? Where do you look to find jobs for a older 65+ PE who is retiring soon, but wants to continue to work.